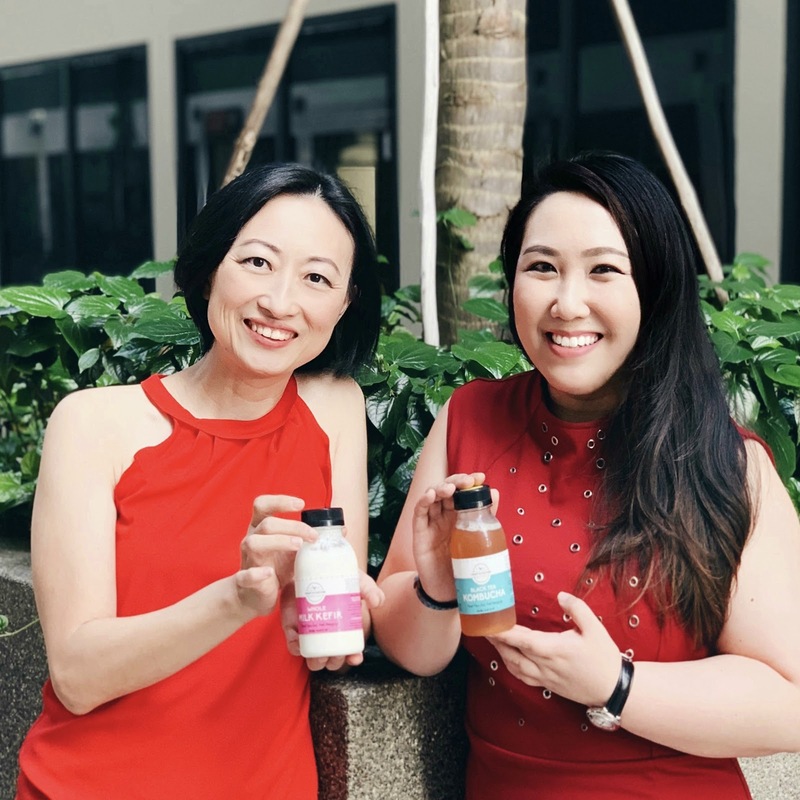 To many, kombucha and milk kefir may seem like yet another superfood fad, but to Winnie Ong and Lai Zhiwei, founders of Craft & Culture, they have witnessed the benefits of the functional beverages first hand. They say the fermentation of tea and milk, which gives rise to raw kombucha and whole milk kefir respectively, have helped with managing allergies and skin ailments. Ong, who started out brewing kombucha at home more than a decade ago before teaming up with Lai in 2015, says that consuming it regularly has helped ease her irritated skin and boost her digestive system. Probiotics, which are strains of live bacteria also found in the stomach, give kombucha and milk kefir its beneficial properties. Kombucha has a mild vinegar-like taste and can have slight sedative effects due to the fermentation process. Ong discovered it through friends while studying for a medical science degree in the United States. “I was highly stressed while I was in medical school and didn’t have enough sleep. My health was not great. I had eczema and I was falling sick very often,” she says. Ong also experienced acne breakouts, which she attributes to a poor diet. Greasy company dinners of lobster and barbecue meats also wreaked havoc on Ong’s digestion. When she embarked on a new career in private equity in the US, kombucha helped relieve her digestive issues with more frequent bowel movements and less bloating. Kombucha also reportedly helps with joint health. A jelly disc called SCOBY, which stands for Symbiotic Cultures of Bacteria and Yeast, is used to start the fermentation process in kombucha. It digests the sugars in the mixture and converts them to an enzyme called glucosamine, which is known to heal damaged joints. “For gym goers and those who pound the pavement, kombucha is good for them,” said Ong. Some of their customers who suffer from gout also reported less pain in their joints, she added. Ong met Lai, a former colleague, while on a business trip to the US. With Lai fermenting milk to make milk kefir for her young daughter, who was battling rashes and hives, the two bonded over their love for fermented products. On top of kombucha, Ong had already dabbled in making other fermented foods, such as sauerkraut and kimchi. Lai’s daughter suffers from eczema and hives, as a result of allergies to seafood and lactose. The standard medical treatment for alleviating allergic symptoms is topical steroids, but Lai wanted a natural remedy. She turned to milk kefir, which employs a culture of bacteria and yeasts, called kefir grains, to break down the lactose in milk, and says that her daughter’s allergic reactions have moderated over time. “[Milk kefir] helped and she can consume larger amounts of milk. The probiotics in milk kefir strengthen the gut in ways that medicine doesn’t,” says Lai. Craft & Culture co-founders Lai Zhiwei (left) and Winnie Ong with their fermented creations. As we learn more about the gastrointestinal system, its sophistication and importance for overall wellbeing has become increasingly clear. Called the body’s second brain, the walls of the digestive tract comprise 100 million neurons. But the brain and the gastrointestinal system are interconnected, which is why anxiety and stress can cause disturbances in the stomach, such as ulcers. Food allergies, which are caused by an over-reactive immune system, can be countered through a healthy gut. The gut is in contact with trillions of microbes daily. Good bacteria help shield the immune system against harmful microbes, which in turn normalises the body’s reactions towards allergens. “People who take probiotics in general find that [they have] fewer outbreaks of skin ailments or their condition has improved over time,” says Ong. Most people drink kombucha to aid their digestion, while milk kefir’s bacteria and yeast strains are unique to treating allergies, says Ong. Freshly made kombucha typically trumps its commercialised peers in terms of taste and effectiveness. Ong says commercial brands tend to have fewer live strains and lots of gas build-up and taste rather yeasty – as if they have been left on the shelf for too long. Craft & Culture sells only raw kombucha and fresh milk kefir. Ong and Lai initially made kombucha and milk kefir from home but moved to a dedicated brewing space as demand for their products grew. They offer a variety of flavours of kombucha, from concoctions with green tea, pineapple, chia seeds and rose, while the milk kefir comes in flavours such as rose bandung, peach, citrus and blueberry. These can be more palatable options for those new to milk kefir which has a slightly sour smell and taste, takes some getting used to. That said, the original versions of kombucha and milk kefir are Craft & Culture’s top sellers, with customers often adding them to juices, smoothies and even cocktails. What makes kombucha and milk kefir more superior than, say, probiotics in a capsule? Lai says probiotic capsules sold in pharmacies contain just eight to 10 strains of bacteria per capsule. Raw kombucha has 20 to 40 bacteria and yeast strains, while milk kefir has 40 to 60 strains. “As kombucha and milk kefir are in liquid forms, they can host more strains of bacteria and are better absorbed,” she says. Fermented foods have been around for thousands of year. In the case of kombucha, the earliest mention goes back to 221 BCE, when records show that fermented tea was consumed in China for its healing properties. Milk kefir originated in Russia and the Caucasus Mountains region. Long before plastic bottles appeared on the scene, the kefir was stored in goatskin bags. 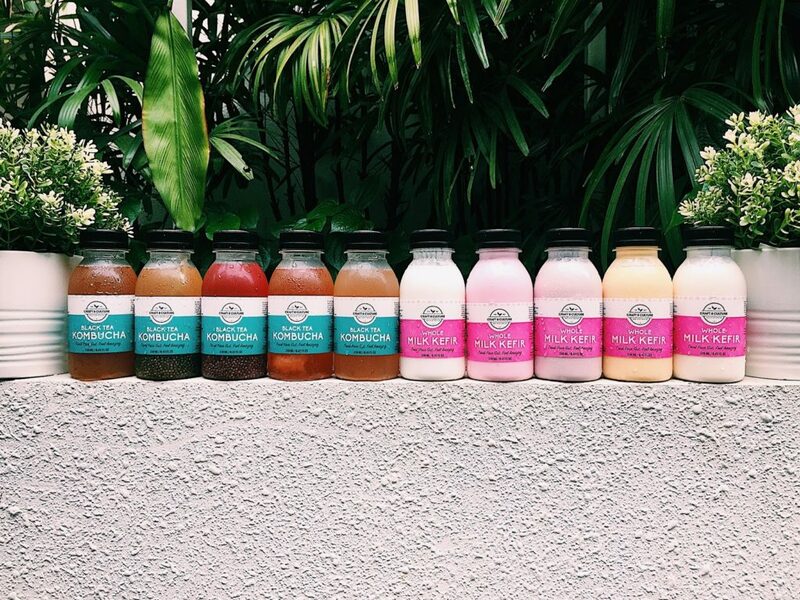 Demand for kombucha and milk kefir in Singapore has taken off – Craft & Culture’s competitors include Bushwick Kombucha and Miss Kefir. There’s also a thriving DIY scene, with homebrewers selling SCOBY and kefir grains through online marketplaces together with instructions on how to make your first bottle of kombucha or milk kefir. Craft & Culture has sold thousands of bottles in the past three years. It has recently branched out into probiotic skincare, specifically skin balms and face masks. Its Restorative Kombucha Skin Balm aims to treat skin inflammations and irritations and promote wound healing. It took a year of research to get the formula right, Ong says.